A small company that floundered in fulfilling its contract to supply food to hungry Puerto Ricans after Hurricane Maria allegedly failed a test passed by most grade-school students: It copied its work. Late last week, three Democratic lawmakers accused the Atlanta-based contractor, Tribute Contracting, of having “plagiarized” portions of its $156 million contract with the Federal Emergency Management Agency to prepare 30 million hot meals as part of the relief effort for the storm-struck island. The only difference: Tribute inserted its name. While the copying may not violate the letter of the law, the copy-and-paste job seems like just the latest example of sloppiness in awarding contracts as the federal and Puerto Rican governments strain to return the lives of islanders to normal after one of the costliest natural disasters in U.S. history. The contracting issue is part of the “slow and inadequate” government response, as the anti-poverty nonprofit group Oxfam American called it, to the last of a trio of major storms that ravaged U.S. communities along the Caribbean and the Gulf of Mexico during the intense 2017 hurricane season. Tribute responded to the senators’ letter by highlighting the latest national tragedy. The company’s owner, Tiffany Brown, said the lawmakers should focus on the “more important discussion surrounding the safety of children” following the recent school shooting in Parkland, Fla. Yet regardless of what happens on the U.S. mainland, the calamity on Puerto Rico continues on its own, with Americans on the island still grappling with intermittent blackouts and water outages months after Maria made landfall. Democratic Sens. Claire McCaskill of Missouri, Gary Peters of Michigan and Heidi Heitkamp of North Dakota wrote that the agreement “appears to be further evidence of systemic weaknesses in FEMA’s contracting practices” in a letter to FEMA Administrator Brock Long. When reached for comment, Tribute owner Tiffany Brown said in a statement that she is “deeply saddened that during a time of recent horrible tragedy in our country and the more important discussion surrounding the safety of children in public schools” — apparently referring to the Feb. 14 shooting at Marjory Stoneman Douglas High School that left 17 dead — “that the focus has been turned toward my lapse in citing the source for the information” in her company’s bid. She added that she respects “the Senators desire for answers and accountability from FEMA” and that she is willing to meet with the lawmakers to answer questions. Meanwhile, FEMA spokesman Will Booher said in an email that the agency is “currently reviewing” the committee's letter. “FEMA continues to work closely with Congress and will provide a response directly back to the Committee,” Booher added. The lawmakers have yet to receive a reply from FEMA, according to an aide for the Senate Homeland Security and Governmental Affairs Committee, on which McCaskill is the top Democrat. Peters and Heitkamp are the ranking Democrats on the panel’s two subcommittees. FEMA canceled its contract with Tribute after the company delivered only 50,000 of the 3 million meals it was obligated to supply. The hot-meal contract is not the only hurricane-related business agreement to draw heat. In October, the island’s state-run power company, Puerto Rico Electric Power Authority, decided to cancel a contract to restore the island’s electric grid with the small Montana firm called Whitefish Energy, which was based out of Interior Secretary Ryan Zinke’s home town. — More on the post-hurricane fallout on the U.S. Virgin Islands: The back-to-back hurricanes that toppled the U.S. territory left behind mountains of trash and debris, but there’s no plan for what to do with it all. More than 736,000 cubic yards (or about 61,000 truckloads) of debris has been collected, The Post’s Tim Craig reports. “A plan to burn the waste was squashed after residents protested over the potential health and environmental effects. Shipping the waste to the U.S. mainland is complicated by the threat of invasive species. And Haiti, where there is a burgeoning waste-to-energy industry, hasn’t taken it either,” Craig explains. — Rick Perry is off to London: "Energy Secretary Rick Perry will fly to London this week to discuss a nuclear cooperation agreement with senior officials from Saudi Arabia, which is planning to build two reactors along the Persian Gulf, according to an administration official," The Post's Steven Mufson reports. Even before President Trump, the United States has long sought for Saudi Arabia to sign a nuclear cooperation agreement that would include strict bans on the enrichment of uranium. — EPA reorganization will end science research program: The National Center for Environmental Research, an Environmental Protection Agency "program that distributes grants to test the effects of chemical exposure on adults and children," will be shuttered amid a major reorganization at the agency, The Hill reports. — Supreme Court rejects challenge to EPA water regulation: The Supreme Court declined on Monday to hear a case from states and environmental groups challenging an Environmental Protection Agency “water transfers rule” that allows government agencies to transfer water without being required to protect against pollution. By choosing not to hear the case, the high court upheld a lower-court ruling which said cities and states can transfer water without permits normally required under the Clean Water Act to “discharge any pollutant” into “navigable waters,” Reuters reports. — Royalty rate cut to be considered: An Interior Department advisory panel is weighing significantly cutting the royalty rate paid by oil and gas firms for deepwater drilling from 18.75 percent to 12.5 percent, The Post’s Juliet Eilperin reports. The suggested rate is the lowest the government can charge for such leases, she adds. The panel is also considering expediting a lease sale for the Arctic National Wildlife Refuge within two or three years rather than four years, Eilperin reports. The recommendations will be considered when the panel meets in Houston on Wednesday. 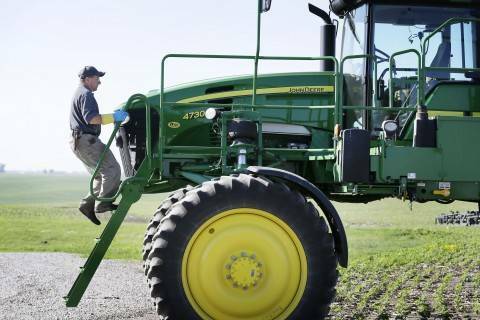 A number of prominent farming groups are requesting President Trump maintain the Renewable Fuel Standard for vehicles, in hopes that it will continue to prop up ethanol and drive money into the agriculture industry. — Above-freezing temperatures at North Pole stun scientists: Scientists are bewildered at what was an “extraordinary and possibly historic thaw” at the North Pole over the weekend, The Post's Jason Samenow reports. In the dead of winter, “the temperature warmed to the melting point as an enormous storm pumped an intense pulse of heat through the Greenland Sea” as temperatures rose to as high as 35 degrees. Such warm intrusions in the Arctic are becoming more common, especially with the decline in sea ice in the Arctic during the winter. — It's hard to eat like a king penguin: King penguins have to travel farther from their home on islands near Antarctica to forage for food as warmer temperatures endanger the second-largest penguin species, the New York Times reports. A study published Monday in Nature Climate Change warns 70 percent of the 1.6 million estimated breeding pairs of king penguins could be at risk this century. “They will need to either move somewhere else or they will just disappear,” one study author said. — Millennials are worried about climate change: According to a new poll, more than three-quarters of millennials agree humans should be working toward slowing or stopping climate change, and 62 percent say human activity is to blame for the warming globe. Broken down by party, 51 percent of young Republicans are worried about climate change and 61 percent of them are worried specifically about air pollution, per Axios. — Trump's solar manufacturing outlook is too sunny: During an address to governors Monday, Trump claimed the administration’s recent import tax had already led to the opening of new plants. "We had 32 solar panel plants. Of the 32, 30 were closed and two were on life-to-life resuscitation. They were dead. Now they're talking about opening up many of them, reopening plants that have been closed for a long time," Trump said. — LNG warning: In its annual outlook for liquefied natural gas, Dutch Royal Shell reports demand for LNG will likely blow past expectations. "Shell warns that the market could face a shortage of LNG by the mid-2020s due to underinvestment in new projects," CNBC reports. "The root of the problem is a mismatch between the types of contracts buyers and sellers prefer, which may delay investments in new LNG capacity, Shell says." 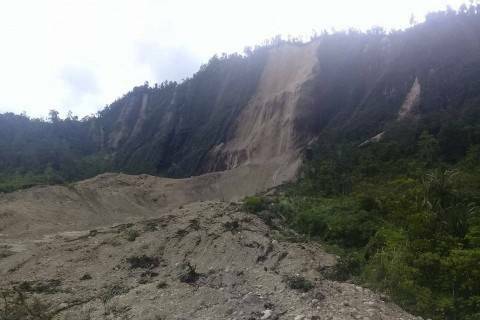 Up to 14 people were killed in landslides and by collapsed buildings during a powerful earthquake in the remote Papua New Guinea highlands, police and a hospital worker said on Tuesday, with unconfirmed reports of up to 30 dead. The House Energy and Commerce Subcommittee on Energy holds a hearing on the state of the nation’s energy infrastructure. The Center for Strategic and International Studies holds an event on short-term outlook for U.S. tight oil production. The House Energy and Commerce Subcommittee on Oversight and Investigations will hold a hearing on restoring Puerto Rico’s electric infrastructure on Wednesday. The Senate Environment and Public Works Committee will hold a hearing on “The Administration’s Framework for Rebuilding Infrastructure in America” on Thursday. The Senate Energy and Natural Resources committee holds a hearing on examining cybersecurity and energy infrastructure on Thursday. Columbia University’s Center on Global Energy Policy holds an event on Energy, Economics and Geopolitics in the Gulf Arab States on Thursday. The MIT 2018 Energy Conference begins on Friday. — Flashback: Three years ago on Monday, Sen. Jim Inhofe (R-Okla.) brought a snowball to the Senate floor as a way to prove the planet was not warming. Now with Trump in office, former Inhofe staffers working at the EPA are upending the nation’s energy and environmental policies.